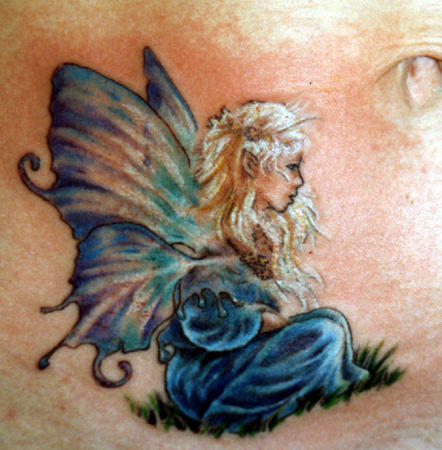 The symbolism of fairy tattoos is vast and can mean everything from childlike innocence to spirituality, feminine strength to the forces of nature. 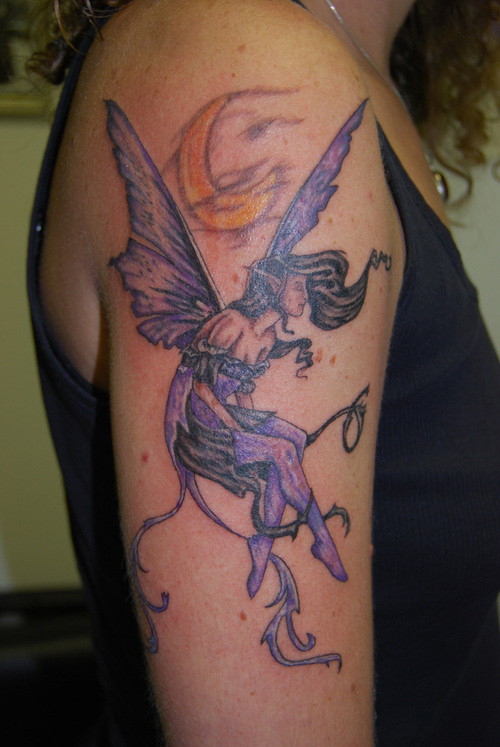 In modern times, these dainty, brightly-winged creatures are seen as girlish figures; however, throughout history fairies have appeared in a number of guises – some of them being sweet and pretty, others being dark and brooding. 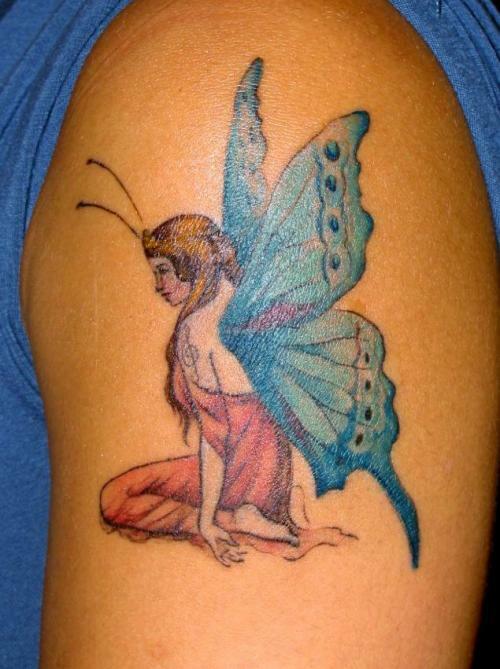 Most fairy tattoos have a distinctly feminine slant, which often depicts these folkloric creatures as small, sprightly girls that bear large, colorful wings. 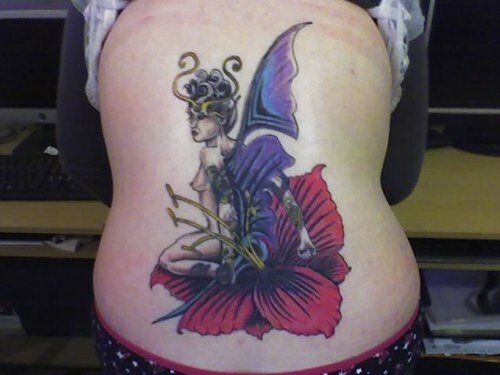 This particular design is often made to look similar to folk art, and often shows the fairy sitting atop a limb or lounging across the back or stomach of the wearer. 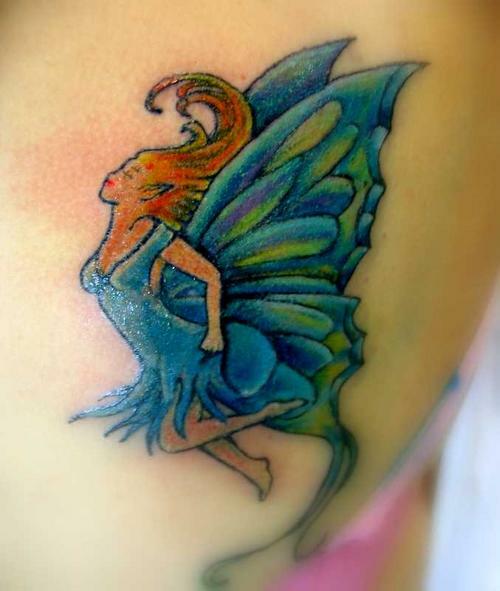 Many people prefer to pick a particular color theme for their fairy such as varying shades of blue, red or purple, but a more unique touch would be to show the wings and costume of the fairy in a rainbow pattern. 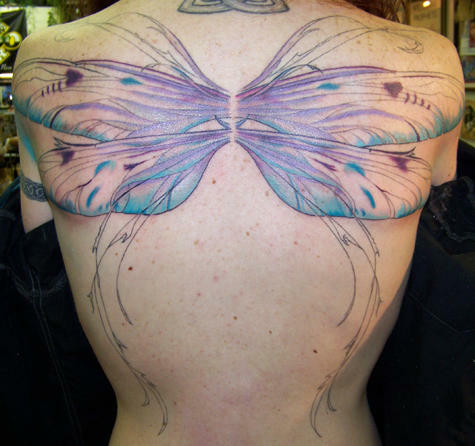 A variation on this would be to make the wings look like stained glass with a bit of sunlight shining through. 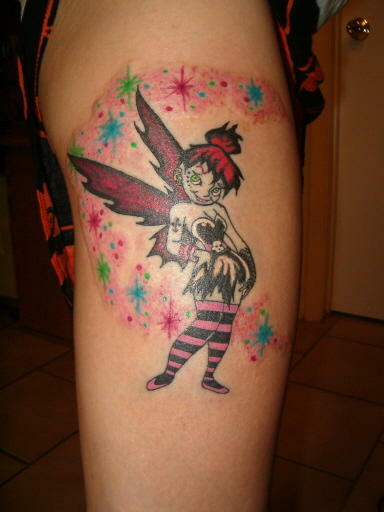 Cartoon-like fairy tattoos are another popular option. 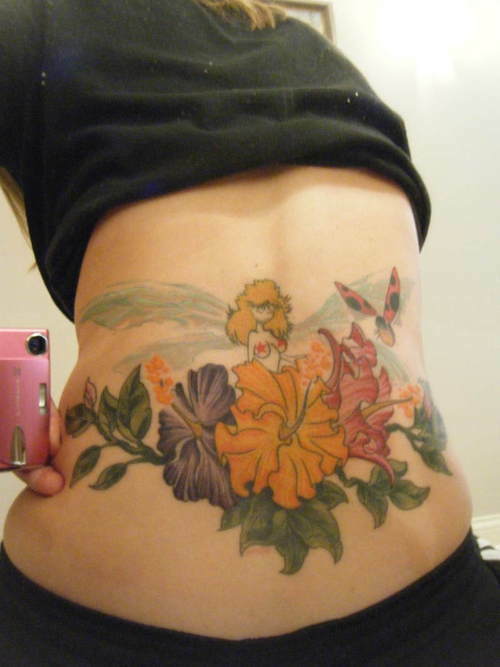 Although the cartoon fairy may be shown individually or in a traditional manner, many prefer to create larger scenes or show the fairy in a more unusual light. 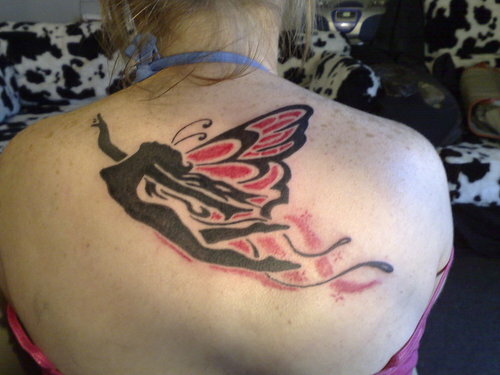 Scenes may show this creature flitting through a mystical forest or whispering into the ear of a peasant child. 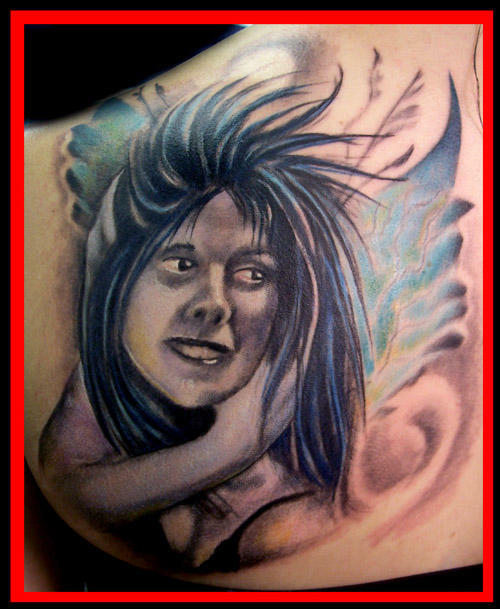 Unusual depictions may show the fairy as a curvy pin up model, a spunky flapper girl or tough punk rocker chick. 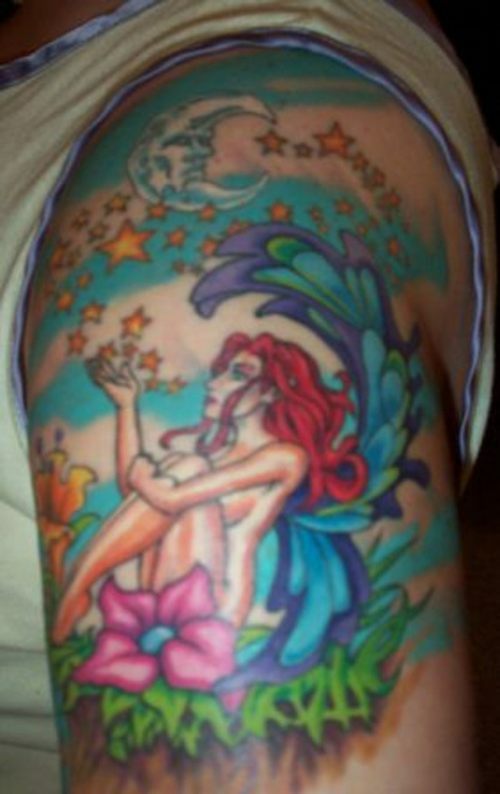 Although fairy pieces are frequently worn by women, some men also enjoy the cartoon variety, as this particular style shows the more sensuous side of this creature. 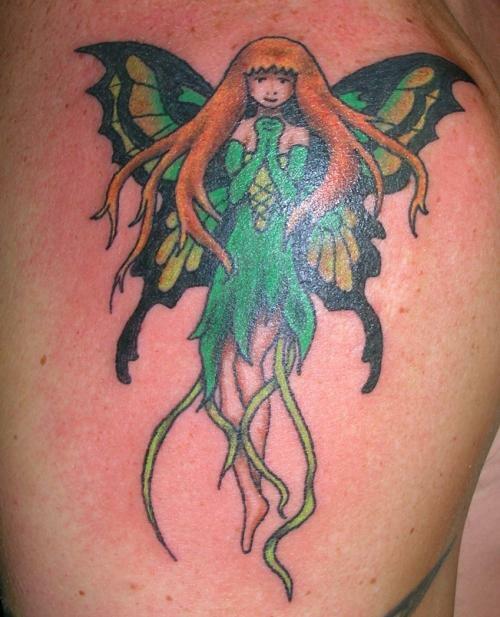 Fairy tattoos may also incorporate other symbols. 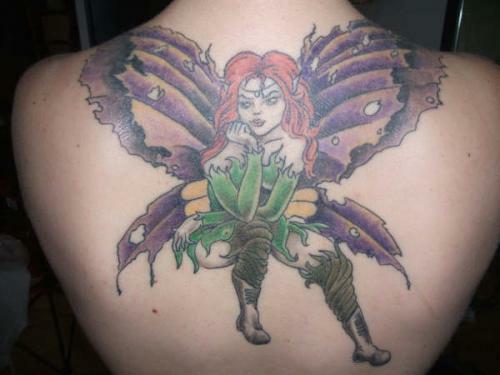 For instance, the fairy may be seen sleeping nestled in the head of a flower or riding on the back of a butterfly. 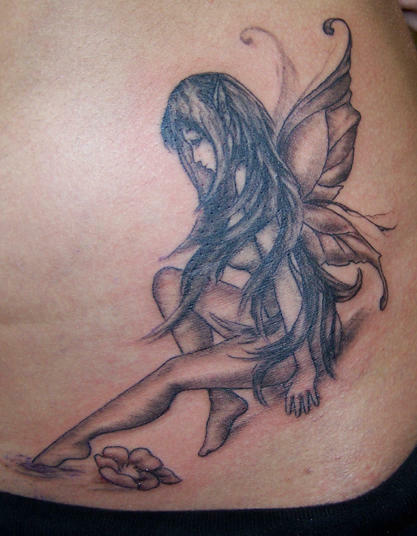 Since fairies are frequently associated with spirituality, they may be mingled with religious emblems such as crosses, pentagrams or the om symbol. Some items may not be widely significant but may be important to the wearer. 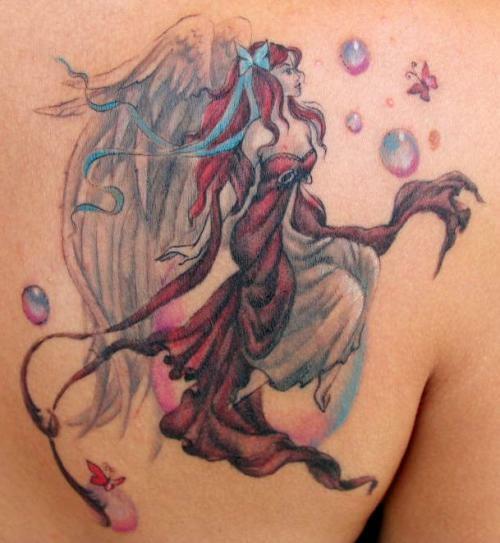 For instance, the fairy may be seen sitting astride a musical note, cradling the birthstone of the wearer or flying alongside a beautiful bird.